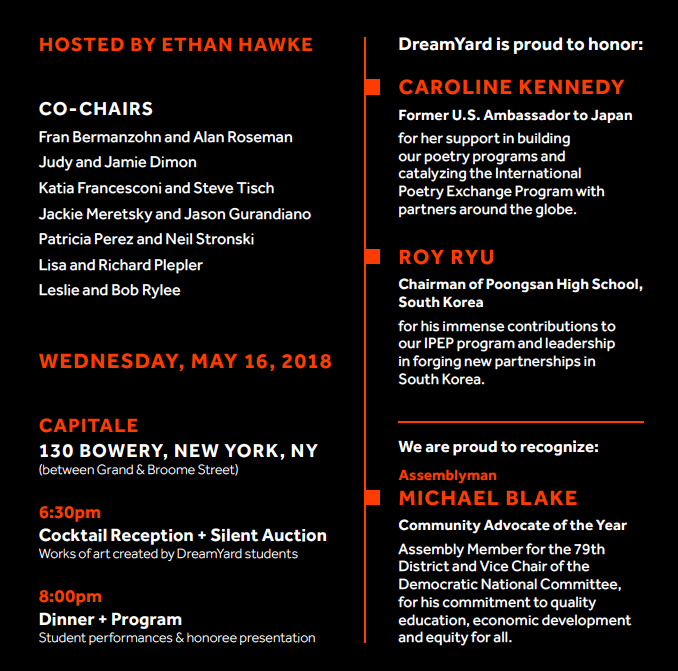 Join us on May 16th at Capitale in lower Manhattan for our Annual DreamYard Benefit. 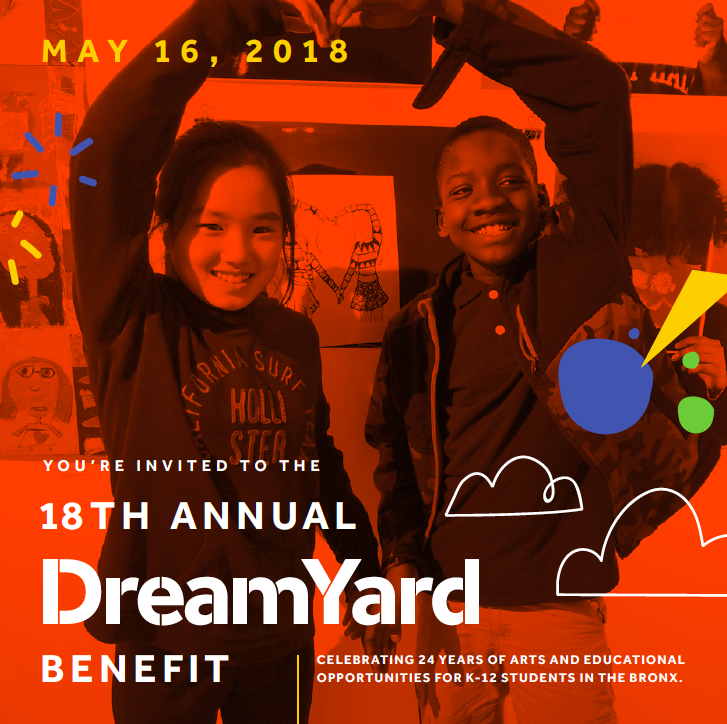 Over 400 people will gather to celebrate the work of our community and raise funds to support our programs that engage with over 15,000 young people each year. 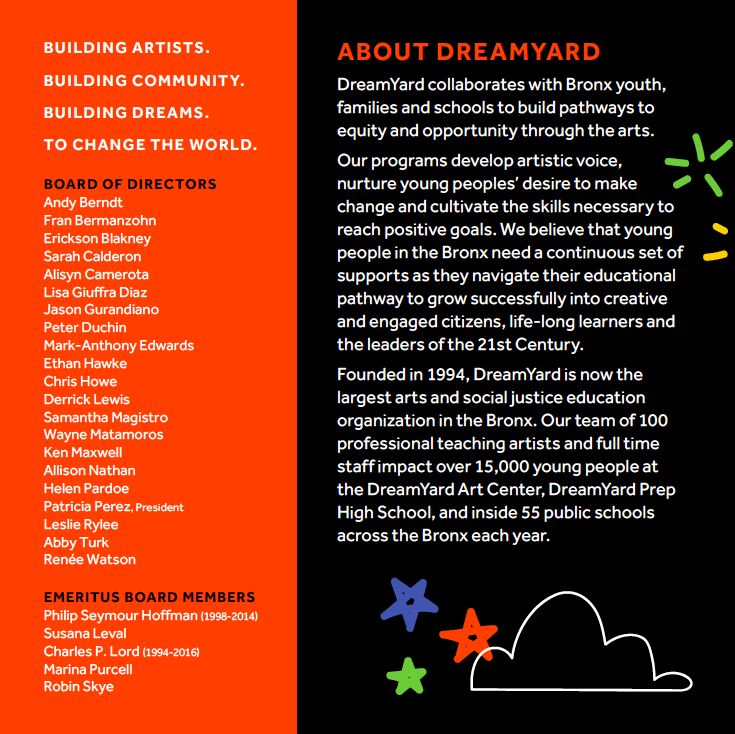 For more information regarding ticket/table pricing and to RSVP, please contact Rachel Bogin at rbogin@dreamyard.com.